AC और DC Current क्या है Mobile Phone में कौनसा Current Supply होता है ? 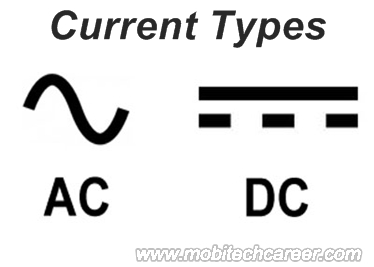 Mobile phone konse current per karya krta hai or current kitne types ka hota hai. Mobile phone ki battery konse current ki supply krti hai. Aapne mobile phone ke pcb per small parts me jana ki bahut se parts AC or DC current ko supply or filter krte hai. Aaj ki post me hum aapko sikhane ja rahe hai ki electric current kya hai or current ki si unit kya hai. AC or DC current kya hai or yah mobile phone me kaise karya krte hai. Electric current ko kisme mapa jata hai. 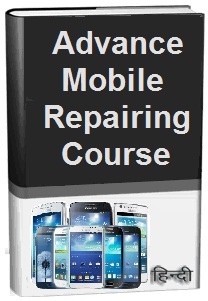 Mobile repairing me aapko repairing se related hare ek pehlu ko bareeki se sikhna hoga. Current or Electric Current Kya hai ? Current conductor types wire jaise copper wire, aluminum wire, circuit electric wiring se flow hokar kisi other electronic components ko charge krta hai. Jisse wo parts work krna start kr deta hai. Current ki SI unit ‘Ampere’ hai or Current ko mapne ke liye Ammeter ka use kiya jata hai. Electric current 2 type ka hota hai. 1. AC – Alternate Current or 2. DC – Direct Current. Aaiye jante hai mobile phone me konse current per karya (wok) krta hai. Wo Current jo kisi electric direction me apni disha badlata rahta hai. Hahare me gharo (house) me use hone wala current AC hai. Aajkal Duniya ke almost all countries Electricity produce or distribute AC current me krte hai. DC current (Galvanic Current) hamesha ek direction me flow hota hai. Battery, dynamo or solar cell se DC current produce hota hai. Mobile phone ki Battery DC current per work krti hai. Battery mobile phone ki pcb circuit board ko DC current supply krti hai.